My 8 year old plans to grow up and be a famous musician, or singer, or cheerleader, or all of the above. She has music in her heart and in her life and I don’t doubt that she can reach her dreams. She practices her singing every day and has written her own songs. Music gives her something to focus on and something to strive for and we all know music affects our moods positively. I encourage everyone to bring music into their children’s lives in one way or another because it has great benefits. Do what you want, make a musical instrument or dance like no one is watching. Barbie™ has always supported being who you want to be (how many jobs has Barbie had again?) 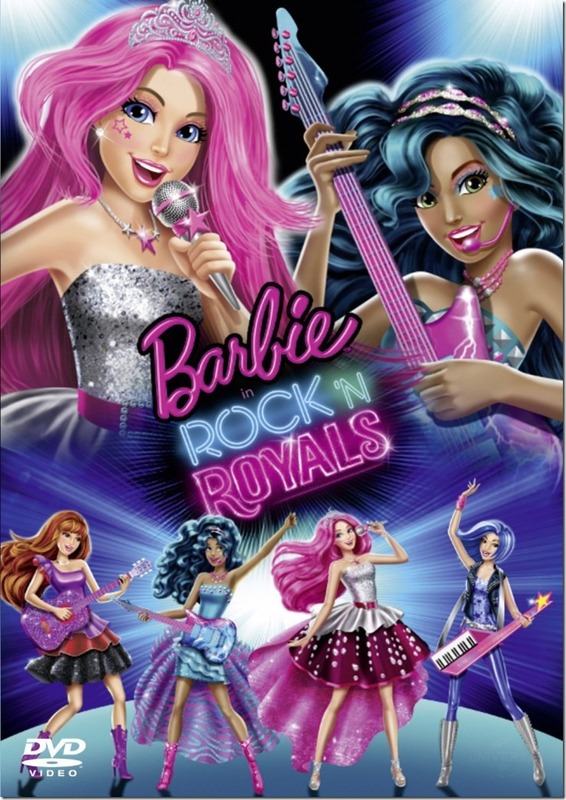 and with the upcoming movie Rock n’ Royals which comes to DVD in September, music is the main theme. My singer also loves princesses so she is a Rock and a Royal all combined into one. In this upbeat musical, Barbie™ stars as Princess Courtney, a modern-day princess whose world is flipped upside down when she switches places with Erika, a famous rockstar. The two very different worlds collide when a mistake sends Princess Courtney to Camp Pop and Erika to Camp Royalty. While Princess Courtney and Erika learn to adapt to their different camps, they must come together when they find out both camps are at risk of shutting down. Through this process, they find their true voices, and come together for an epic sing-off that shows anything is possible! I’m pleased to present a special giveaway for residents of Ottawa, Ontario, Canada ONLY. Other See full terms & conditions on rafflecopter form.